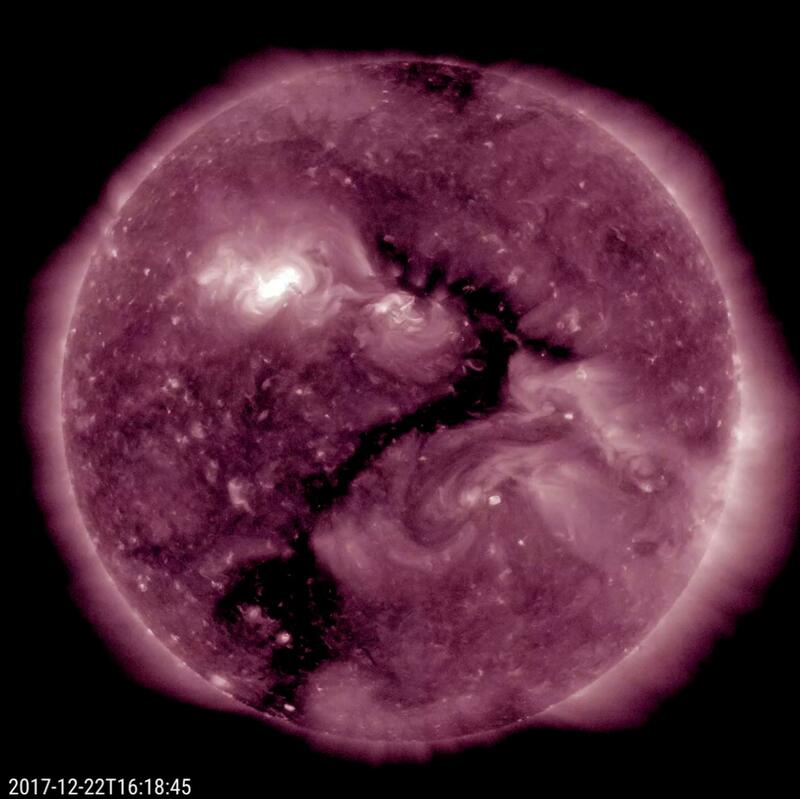 Oddly enough, an elongated coronal hole (the darker area near the center) seems to shape itself into a single, recognizable question mark over the period of one day (Dec. 21-22, 2017). 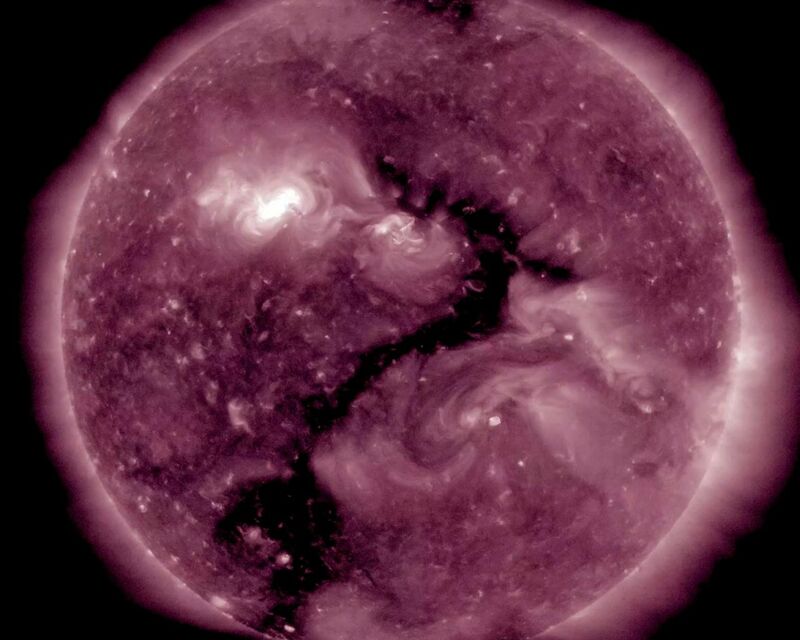 Coronal holes are areas of open magnetic field that appear darker in extreme ultraviolet light, as is seen here. 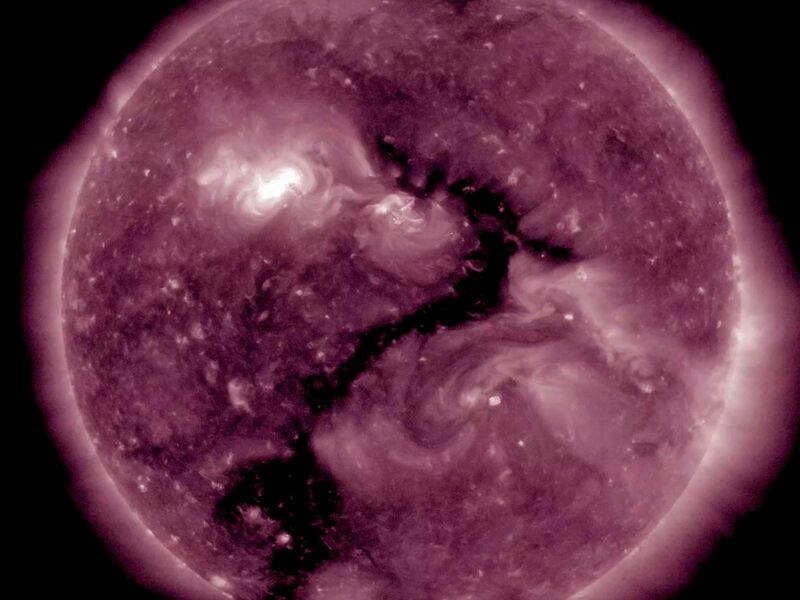 These holes are the source of streaming plasma that we call solar wind. 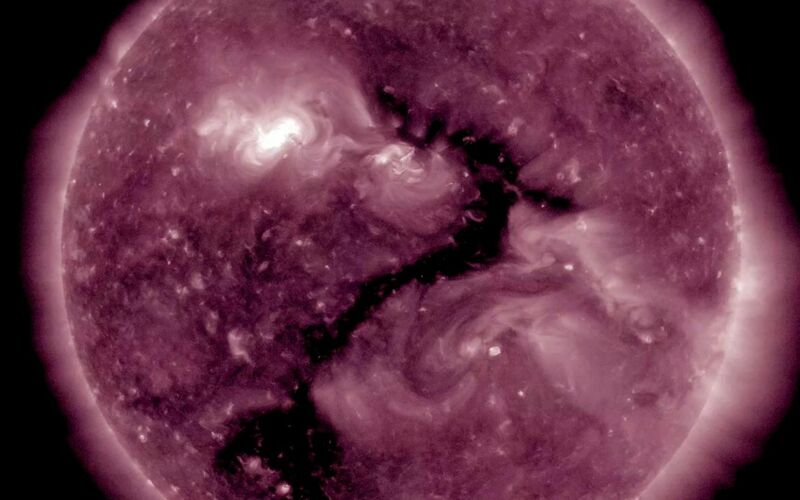 While this exercise is akin to seeing shapes in clouds, it is fun to consider what the sun might be asking? Perhaps what the new year will bring? Guess what I am going to do next?